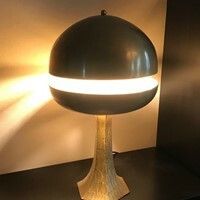 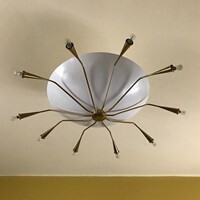 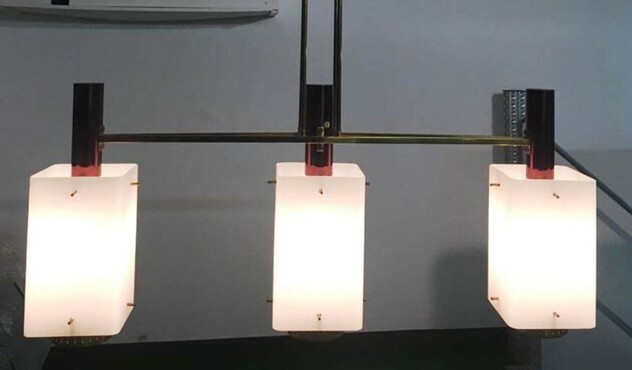 Large ceiling light by Stilnovo, late 1950s. 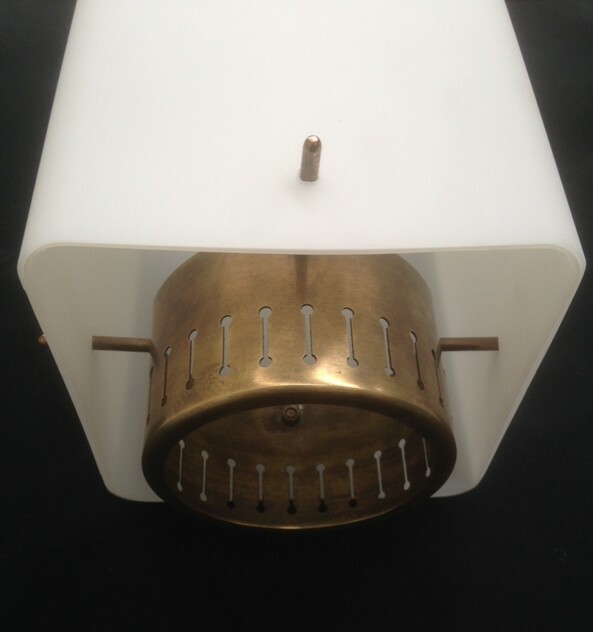 3 square frosted glass shades, each 25cm high by 15cm square. 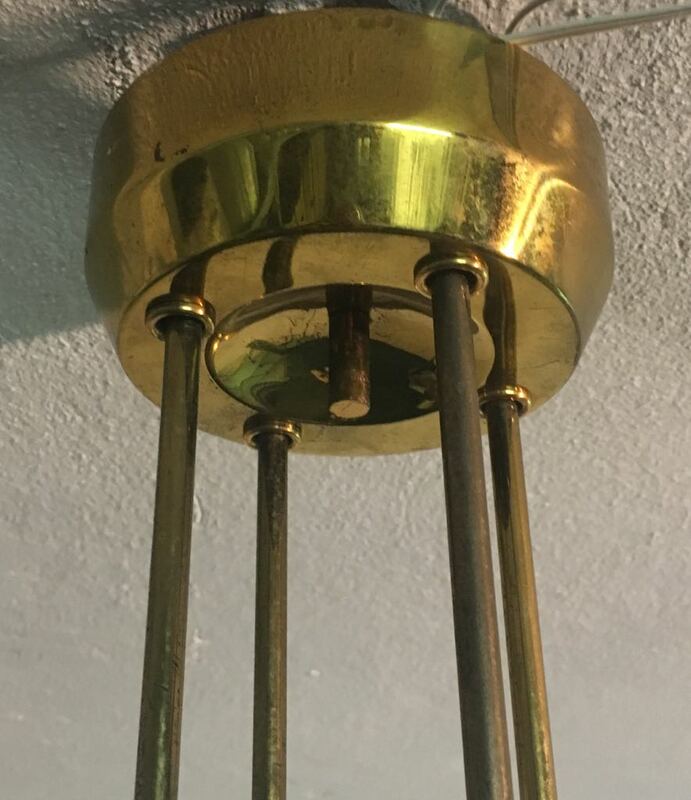 Brass and burnished brass details and bearing original label. Height can be shortened.